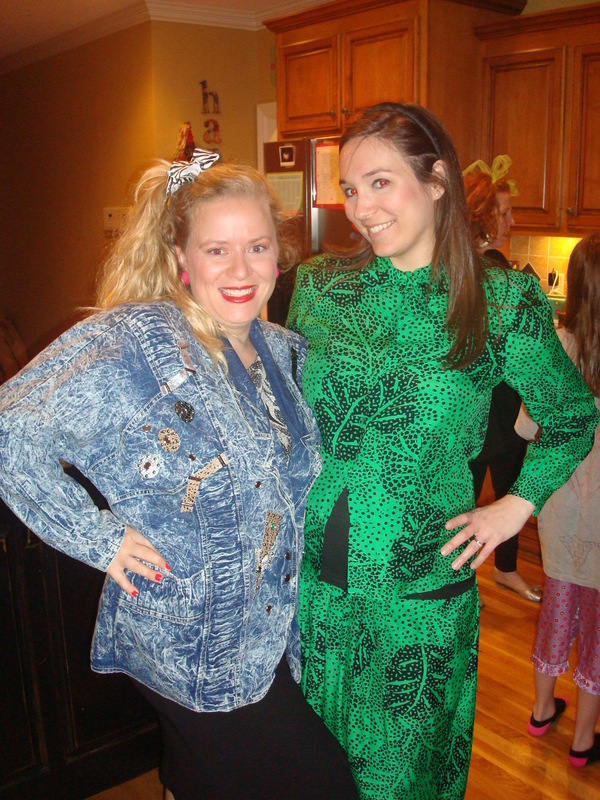 My girlfriend Della turned 30 on Friday, and to celebrate her love of everything 80’s, her husband Krammy threw her a “13 going on 30” birthday party. 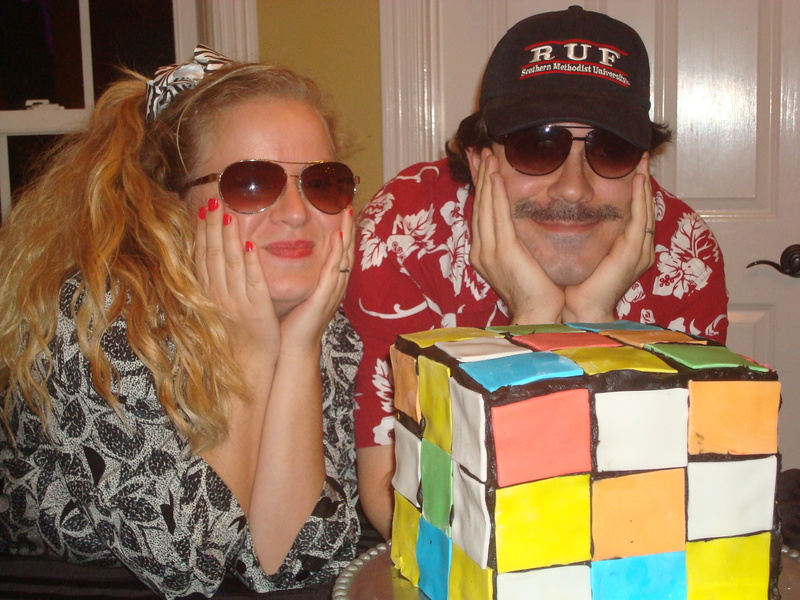 Everyone dressed up in 80’s clothing, Krammy made the most awesome cake, and I did a little decorating. We also played 80s trivia and “Pin the Glove on Michael Jackson” which was a big hit too. 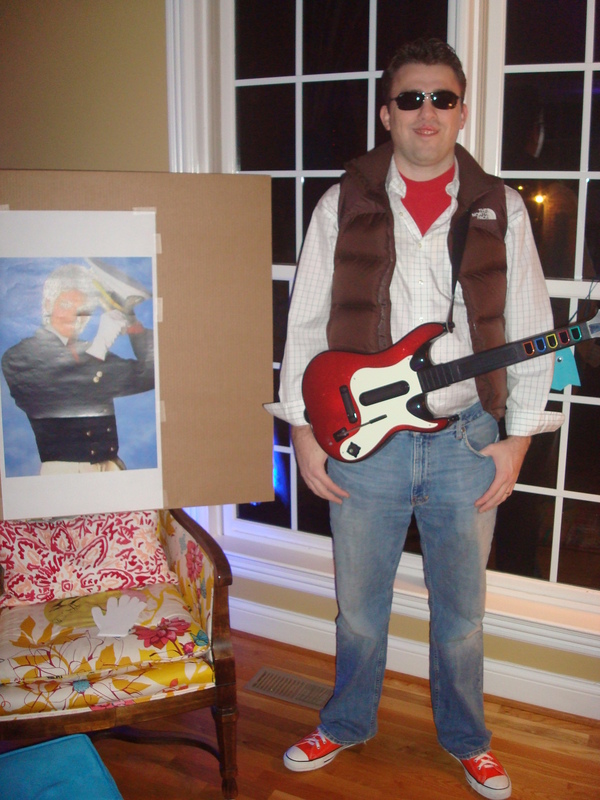 JD made a Spotify list of 80’s music, and the night was a big success. Here are some of my favorite pictures from the evening. 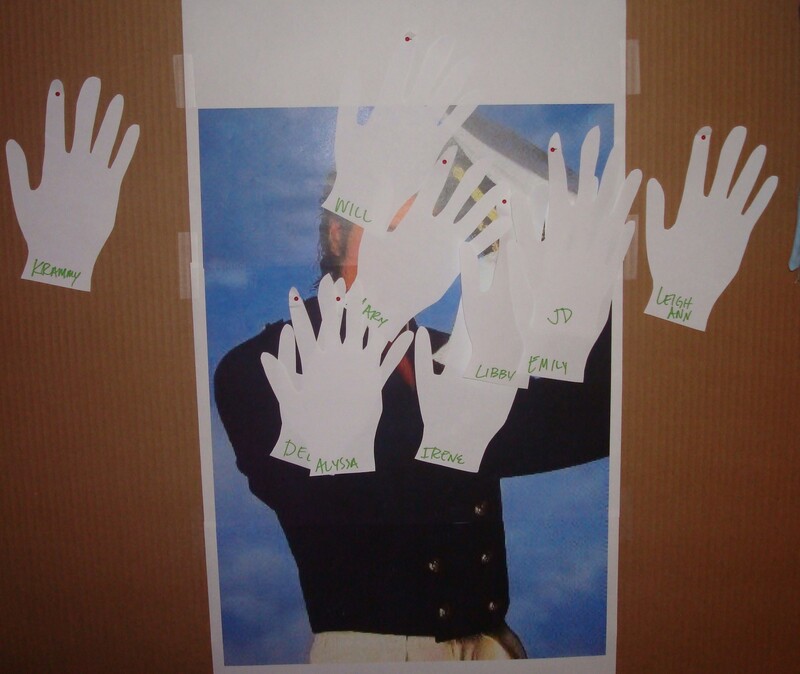 “Pin the Glove on Michael Jackson” was won by Libby… nice work! What a fun night! I love that everyone actually got dressed up to celebrate our good friend Della. Overall, it was a Thriller. Cool cake. Looks like colored Kraft singles. 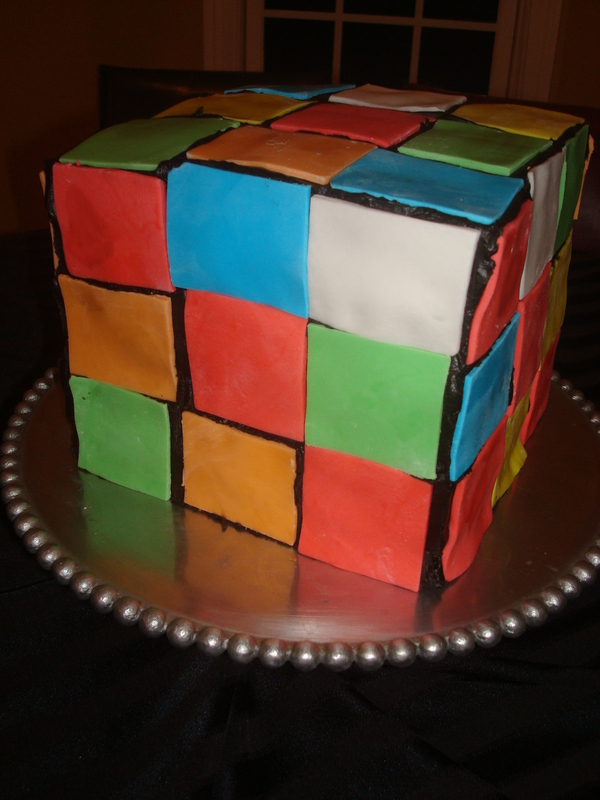 Like a Rubix Cube cheese cake!! !